50 Surprising Things About Season 4 - Pt 1 — Making Game of Thrones " "
Follow along with Season 4 by diving into the 50 fun facts below. 1. 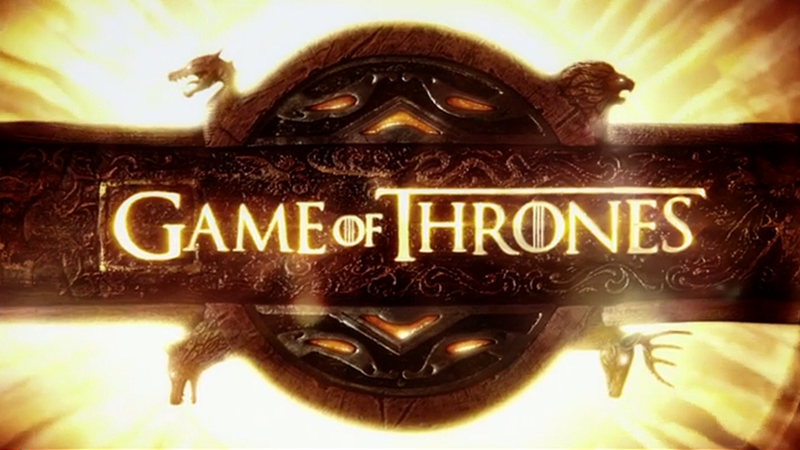 The Season 4 premiere, “Two Swords,” was crafted with specific bookends: “It was intentional that we would begin the episode with the loss of one Stark sword, and what Tywin thinks is the death of the Stark line and legacy, and end it with finding another Stark sword that implied the rebirth of the Stark ability to act in the world through Arya,” explained D.B. Weiss. 4. Jaime’s new hand took a month to make. Because it was Cersei who commissioned it, costume designer Michele Clapton used the queen’s “armor" as a reference point for the hand’s pattern. "I wanted it to have a softness [and] beauty to it,” said Clapton. 7. After the Season 4 finale, the Queen of England visited the set of the show. She did not, however, sit on the Iron Throne. 10. Bradley believed the kiss between Sam and Gilly was more than just a peck: "Kissing Gilly is the first time he's getting over that fear of rejection,” Bradley said. “I think that kiss was symbolic of how they learned through each other to trust other people and humanity, and realize their own worth. They wouldn't have done it in Season 3." 13. A lot of planning went into achieving the royal wedding’s opulent and glamorous look. Home economist Karyn Booth drew inspiration from the books when planning the table spreads: “We decided to go for color when planning the buffet tables.” The team had to wire some of the food items together so the piles “wouldn’t topple over.” Once the meal was created, standby art director Philippa Broadhurst made sure those items could be seen within the frame of the shot. 17. All of the leaves and roses on Margaery's wedding dress are hand-embroidered. The roses and leaves on the train are made with silk linen, leather for the leaves, metal pieces for buds, and even fish scales for iridescence. 18. Costume designer Michele Clapton created Sansa and Margaery’s necklaces to look they were from the same period. The “most exciting thing of the season” according to Clapton, was that the beads on Sansa’s necklace were created with 3-D printing. See the images below. Margaery's necklace is on the left; Sansa's is on the right. 23. Arya’s trip to Braavos was not that epic IRL. “That scene was shot at a car park in front of a green screen,” Maisie Williams recalled. “It's not quite like being on a legit ship in the middle of the ocean, so to really get into that, you summarize the whole season in your head. Additional reporting by Eleanor Laurence, Katie Lucas, Ashley Morton and Allison Waxman.